I love styled maternity photography! Add a boho vibe, stunning hair, makeup and a beautiful pregnant Mummy and it all adds up to perfection! Located on Brisbane’s Northside Bee Cherished Photography now offer a very special experience for pregnant Mum’s. Totally unique and created personally with colours, fabrics and flowers you love. Life reveals her beauty one precious miracle at a time ..
I’m not entirely sure why I constantly think of different ways to create beautiful unique pregnancy photos. I only know it’s something deep within me. It’s a privilege to be trusted with. I see so much beauty in maternity photos. I want every woman to have at least one portrait to love she can’t stop looking at. It makes me so happy when I hear such emotive and genuine feed back. If you’ve ever wondered how my funny little brain works. I will share a snippet into a day a couple of weeks ago. I’m a tiny bit different due to the way I see pretty things in unusual places. I love weeds and messy long grass. If you know me you may drive past pretty grass and say to yourself. I must tell Tracy! Textures, colours and soft light surround us everyday we just need to learn to see them. It all started with pampas grass. I love the colour tones of pampas grass! I just happened to walk past a pretty bunch in Kmart. Fast forward an hour, I’m at home sitting on the floor with it. As usual I had no idea what I wanted to do with it. Only I knew it would photograph beautifully with my new backdrop. The colours were stunning together. Add one of my favourite flowers, the magnolia and I attached it all to some hessian and florist wire. I’m only just discovering florist wire now! It’s amazing! If you love these photos and would like to book. I’d love to hear from you. You are welcome to phone for chat on 0412 996 891. Alternatively send an enquiry for availability below. It’s never too early to lock in your maternity photography as I’m already taking booking for September. Limited bookings available. Are you looking for pregnancy antenatal care or breast feeding support? I have exciting news to share! The new Mum and Bub Hub in Morayfield is now open offering antenatal care. This is so exciting! The Mum and bub hub offer an amazing service for newly pregnant women right through to care post birth for Mother and baby. The Midwives work closely with doctors so you can enjoy the ultimate personal service and support. Enjoy the best guidance and support lead by the most caring midwife’s and doctor’s who have chosen to specialise in pregnancy and postnatal care. This is a one stop medical hub offering complete care and support. From pregnancy testing, routine appointments, ultrasounds right through to postnatal check ups and lactation support. The Mum and Bub Hub focuses on the health and well-being of women and their children. Within this hub there will be a range of specialist consultants in areas such as lactation, IVF, mental and pediatrics. These specialists will be able to assist you with women’s sexual health, contraception, education, infertility, as well as all stages of pregnancy and then into the development and growth of your child. If you live on Brisbane’s Northside you’ll be pleased to learn the Mum and bub hub is now open and looking forward to caring for you and your family. Bee Cherished Photography is proud to display gorgeous wall art photography for everyone to enjoy during their visits. Thank you to Jen and all the nursing staff for supporting a local small business. I am so very grateful. Helpful tips for newborn photography sessions. Worried how your newborn photos will turn out? Relax it’s okay, you’re not alone. As a photographer it’s my job to make you feel at ease. You may be nervous about breast feeding? What if your baby has peeling dry skin? During our photos will they be content? I have helpful tips for newborn photography. Helpful tips for newborn photography sessions from someone who loves to make you feel comfortable and welcome. How long will newborn photography take? Please allow 2 to 4 hours for newborn sessions. This is plenty of time for photos and the important things like feeding and cuddling. What if my babies skin is dry and peeling? This can be common with newborns. I do use filters to soften skin. I love imperfectly perfect babies as they are. As a first time Mum I’m nervous to breast feed. The studio is very private and you’ll be comfortable to feed without time restrictions. My other child is a handful. In a toddlers world where everything has changed I am compassionate, fast and patient. I don’t know what to expect. Information and helpful tips are available the entire process. Book newborn photography with Bee Cherished Photography and I promise you’ll enjoy watching and love being involved. My helpful tips for newborn photography involve parents at times. Your babies comfort and safety is always a priority. Am I the right photographer for your newborn photos? In a sea of newborn photographers it’s difficult to know who to choose. Sometimes it’s a feeling, sometimes you need to make sure. I’m always available for a chat anytime. You’ll never feel pressured to book or spend a certain amount. I’m fortunate to love my job. It’s an honor to photograph your families milestones. Returning customers and word of mouth are the reason Bee Cherished Photography continues to grow. I’m now taking bookings for August with limited availability for April and May. What exactly is boudoir maternity photography? Why is it popular? Maternity photography fashion is changing. Maternity clothing trends change frequently. What’s popular in pregnancy photographs? 2019 welcomes timeless elegance in pregnancy photos. The focus is all about your beautiful pregnant shape. Let’s focus on the love you have for your unborn child. Boudoir maternity photography is simple and sophisticated. Enjoy beautiful emotive portraits you can’t stop looking at. Delicate soft lighting and pretty fabrics strategically placed. Hi I’m Tracy and I’m a boudoir maternity photographer on Brisbane’s Northside. “I wish I’d had maternity photos” Are words I hear too frequently. Boudoir maternity photography is fun. I promise, any nerves will fade quickly. People say I make them feel comfortable for a reason. I’m a female and I understand insecurities. I’ll take great care to give you the best photos of your pregnancy. The motherhood journey is one you’ll remember forever. I am a professional, I listen carefully to your concerns and together we plan your dream photos. This is entirely up to you. I recommend anytime before 36 weeks. Each and every pregnancy is different. Anytime from 30 to 36 weeks or when your belly is beautiful and round. The reason I suggest earlier rather than later is your little bundle may arrive early. Towards the end especially in summer some women may have excess fluid and I want you to feel very comfortable. You don’t need a spray tan! If you like a bit of colour make sure your spray tan is a good one. Elbows, wrists, knees and ankles don’t look great with a bad spray tan. Lastly and most importantly relax take time to choose the right photographer. You need to feel comfortable and trust your photographer to gently guide you to create beautiful feminine flattering portraits. Thanks for considering Bee Cherished Photography for your boudoir maternity photography. Our beautiful and private studio is located on Brisbane’s Northside. Bookings for weekends need to organised well in advance for availability. 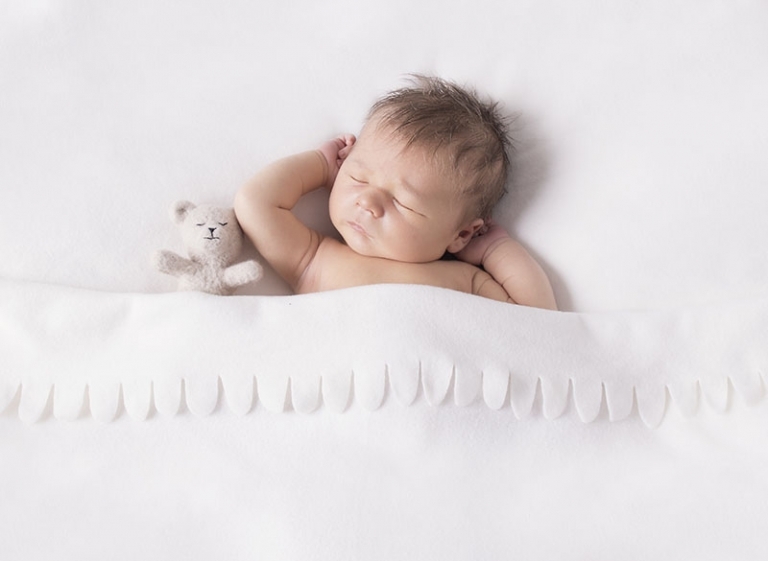 Are Sentimental newborn photos important to you? Memories are precious, sentimental newborn photos make my heart sing! I’m often presented with items of significant value to include in portraits. Most are special for their emotional attachment. Photos evoke emotion. Words cannot express what photos can. I adore these photos. It is an honor to be entrusted with preserving family memories. I always take these precious items seriously. How very special to have a pocket watch to include in baby Colton’s newborn photos. If you have something special in your family please bring it along to your photos. Teddy bears and jewelry are two very common items. Both are very easy to include in your portraits. What will your sentimental newborn photos include? Do you love feminine and pretty maternity boudoir photography Brisbane? I’ll confess straight away I had no idea how I was going to make this outfit! I knew exactly what I wanted to do but struggled with the idea of the bra top. My family will tell you I am the worst person to use google. It takes me twice as long as anyone to find what I’m looking for. Perhaps I’m too impatient or my mind works in a different way. What ever the reason I’m fortunate to have creative friends to help guide me. After spending time on pinterest and taking notes it was off to the shops. I then purchased flowers, grape vines and florist wire and I was all set. A day later and feeling very excited and happy with myself I have made this very feminine flower maternity bra. Yes I have a secret weapon! I have it on good authority this was comfortable and it’s adjustable to fit any size. I love the idea of a backless top. The grape vine is designed to strategically cover whilst draping around your body and leg. I wanted a ethereal and magical dreamy look. Pregnancy is absolutely momentous and I think every Mummy is a goddess. I hope you like my version of a pretty and feminine maternity portrait. If you’re looking for something very special and memorable I would love to hear from you. It makes my heart sing to present a gorgeous gallery of pregnancy photos. I felt like a child in a candy store planning this shoot. Actually I am still that child when I enter a candy store but that’s another story. I have peter pan syndrome .. what’s peter pan syndrome you might ask? I never want to grow up. Creating outfits is releasing my inner child. My mind is constantly thinking of new ideas and if you’re interested I have a few new ideas lined up ready to go. Talk about a hard choice. It was so hard to pick my favourites I could have easily shared 20. The photos in this blog are a mix of Nikita’s favourites and my favourites. Once again thank you to you and your adorable family Nikita for allowing me to style your maternity photos. A big thank you to Kymberly from Kymariemakeup mobile hair and makeup for your talent. Kymberly specialises in vegan friendly makeup. Nikita’s hair and makeup styling was a touch fantasy to suit our magical theme. On this occasion Nikita enjoyed a break in between her styled maternity photos and her family portraits. It’s so important to include partners and family. It’s often a great idea with such small children to ask someone to bring them along for a few photos towards the end of your session. The very best behaved children may become bored during an hour and a half of hair and makeup and then add on photography time. Maternity photos with young children are fast and fun! I want your children to have fun in the studio especially when they are returning for newborn family photos. The perfect family maternity photos are simple and elegant. Timeless memories don’t need too much fuss. Soft back lighting and pretty feminine lace and real emotions. These photos made me smile during the sessions and ooo and ahh editing them. I wish I had such beautiful photos when I was pregnant. This by the way is one of the most comment statements Mum’s make in the studio during their newborn photos. In the studio I have the most stunning maternity photo framed on display. It is my most requested maternity portrait and is definitely a talking point. One of the reasons I choose that particular photo to display in the studio fills me with pride. It is my most requested photo however the Mum in the photo was having her 4th baby and her very 1st maternity photos. I feel extraordinarily privileged to be a photographer when I hear stories like that. It’s a honor I take very seriously. To be your chosen photographer to create your family memories is what makes me smile. Soft muted pastel colours and delicate back lighting evokes emotion in photos. Simplicity produces timeless memories. I aim to create a diverse range of photos you’ll adore looking at forever. Your family photos should display your connection and show love. Yes the carefully posed photos are amazing but I do add in a touch of you and your natural personalities. My favourite photos are often not the ones looking directly into the camera smiling. They are for your parents, I hope your favourites are the emotive photos. The photos people comment on and see true love. Upgrades are available to include gorgeous wall art. Stunning modern acrylics and contemporary timber framing with hand torn prints are divine. Wall art starts from $275 with many colour options available to suit any decor. After your feminine and pretty maternity photography you’ll leave the studio buzzing. Feeling empowered and excited to see your portraits I hope you plan an evening out. Especially if you’ve enjoyed having your makeup and hair styled. I will upload a sneak peek within 24 hours. You will receive a slide show to music and a password to your online gallery within 2 weeks. Once you’ve chosen your portraits and products the ordering process can take up to 2 weeks. Most commonly if you’ve booked a newborn session your photo will be ready to take home at your family newborn photography. Booking both maternity and newborn photography packages you will receive $100 discount. Watch this space for new trio packages coming soon. I love to watch your family grow. I will be offering maternity, newborn and one year old trio packages. Stay tuned or ask now. We take photos as a return ticket to a moment otherwise gone ..
Are you looking for newborn photos with your family? Bee Cherished Photography on Brisbane’s Northside have affordable newborn photography packages available you’ll love. Beautiful linen albums start from as little as $495. Packages include professionally printed products and digital images on a USB. Enjoy an adorable birth announcement to share with family and friends. Wallet size images are a nice touch to have for grandparents and to pop in your wallet. I love prints and want you to have your photos on display not hidden on your phone or on a USB. Where are your most treasured newborn photos kept? Do you have the digital versions backed up? Can you see them to enjoy everyday? I’m on a mission to ensure if you pay for a professional photographer you will have professionally printed archival products. This is of utmost importance to me. Here are a few reasons why. Yes I want the very best in quality materials! Lots of love happens behind the scenes. Taking the photos and editing them. If you’re reading this and photos and memories make your heart sing. I’d love to hear from you. I have products to suit any budget or personal tastes. Visit the studio to hold and touch the products available. Taking photos with toddlers and newborns can be tricky sometimes. Your toddlers whole world has changed forever. Their Mummy has just had a stay away from home in hospital. Lots of focus and attention is on the new baby. My heart goes out to these little people in those early days. Please know I want them to enjoy the experience of visiting my studio. I have a few tricks up my sleeves to get emotive and precious sibling photos. Trust me I know how important these memories are. Phoebe was excellent and loves her new best friend. She is a caring and gentle big sister and made my job very easy. Aww .. it’s this adorable! Thank you for considering Bee Cherished Photography for your newborn family photography. Please email for availability. If your newborn has already arrived, phone to check for last minute sessions. 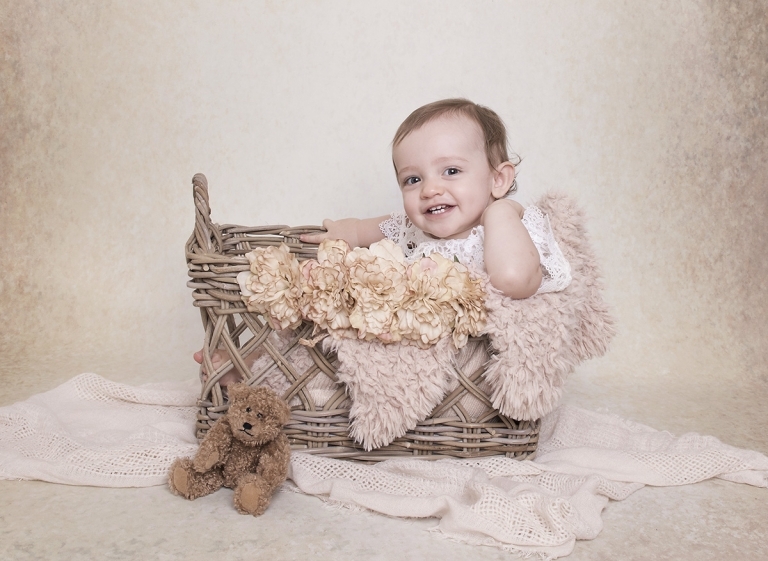 Caboolture newborn studio have packages available from $495. Beautiful 10 page linen albums available in charcoal grey, dusty pink or ivory. Book newborn photography with Bee Cherished and receive your photos digitally and professionally printed archival quality products. Photos belong on display not on a USB in a draw. Looking for a newborn photographer in Caboolture? Bee Cherished Photography have a purpose built newborn studio in Caboolture. Specialising in Maternity and newborn photography with everything available to create gorgeous newborn portraits and elegant maternity photos. If you love soft muted colours and timeless newborn photos I’d love to hear from you. I have the most rewarding job that I love dearly. I wake up excited every day to start work. Two days are never the same each family and every baby have their own uniqueness. I would love to create sophisticated and elegant maternity photos for you. If you book maternity and newborn photography you’re saving $100. It’s always extra special to see your belly followed by meeting your baby. Bookings are limited to ensure your baby is photographed within two weeks. To secure availability a deposit is required. Your second trimester is the perfect time to plan your photography sessions. Visit the maternity and newborn galleries for ideas and inspiration. You are always welcome to phone anytime for a chat. I promise you’ll never feel obligated or experience high pressure selling. It’s important to me for you to enjoy the entire experience. I look forward to seeing you return as your family grows. Cake smash photos look great but can they can be expensive. Try something unique and different? Milk bath sessions or bubble baths are ideal. What one year old doesn’t like bath time? You’ll have natural smiles and great variety in your photos. And save yourself money buying a cake. Enjoy watching your child have fun! Emotive unique photos in studio you’ll love forever! What’s so good about milestone sessions? All this in 20 to 30 minutes and your child will be enjoying themselves and not even realise we’ve just completed 3 different set ups. Each session is aimed to give you a variety of photos to treasure for ever. Thanks for considering Bee Cherished Photography to create your family memories. You are very welcome to phone anytime for a chat on 0412 996 891. I’d love to hear about your one year old’s personality. What’s the best outfit for my one year old to wear for photos? Having a baby is a life changer. It gives you a whole other perspective on why you wake up everyday. Are you looking for adorable newborn photography with your dog? Recently I had the absolute pleasure of photographing newborn Alaya and her wonderful family. This wonderful couple consider their dog Jack to be very much a part of the family. I love it! I feel exactly the same about my little George. He would most definitely have to be in my family photos. I’ve always thought Pugs were super cute, however this little fur baby stole my heart and I couldn’t stop laughing! This was so much fun and it was so fast and very safe. Who would work with babies and animals? Me!! And I loved every minute and laughed so much! I challenge any of you to find a dog that head tilts better than this gorgeous Pug Jack. Honestly he is so sweet and was so gentle around Alaya. If you love your dog and would like to have newborn photos I would love to hear from you! I will ask you lots of questions about your dog. Together we will decide if your dog is suitable to have photos with your newborn and when. So how did we work with Jack the Pug? After chatting it was decided to book in two separate sessions. One with just the humans and a second session with Jack. Jack was only in the studio for about 10 to 15 minutes. It was fast and fun! What sort of questions will I ask for your dog to be invited into the studio for photos with a newborn baby? Please don’t think if you have a 6 month old excitable puppy I will say no. It’s very important for so many reasons to plan sessions well. Just like planning the best time and age to photograph your newborn. Your puppy may need to be excercised or bribed with treats. Having an honest and open conversation will only result in a relaxed fun photography session.